Que sont les tufs calcaires ? Question # 3: When you are in front of the waterfall, you can climb the left side. Be carefull it is really slippery. 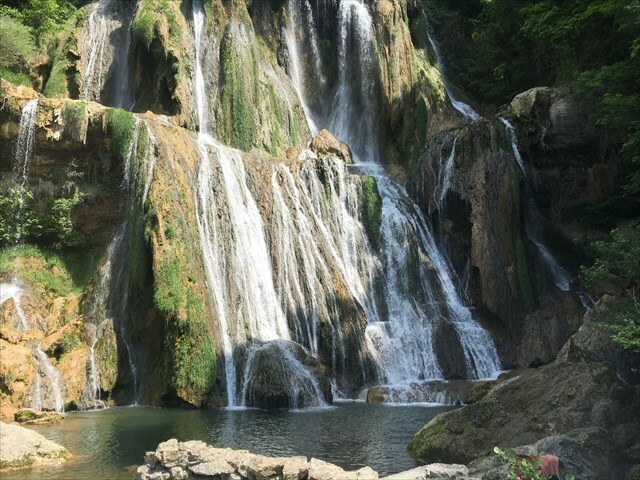 Given that the limestone deposits are 5 mm per year, estimate the time required for the formation of this waterfall .